The former president offered caution about the consequences should his party "move to a very liberal program, like universal health care." ATLANTA — Former President Jimmy Carter sees little hope for the U.S. to change its human rights and environmental policies as long as Donald Trump is in the White House, but he has a warning for his fellow Democrats looking to oust the current administration: Don't go too far to the left. 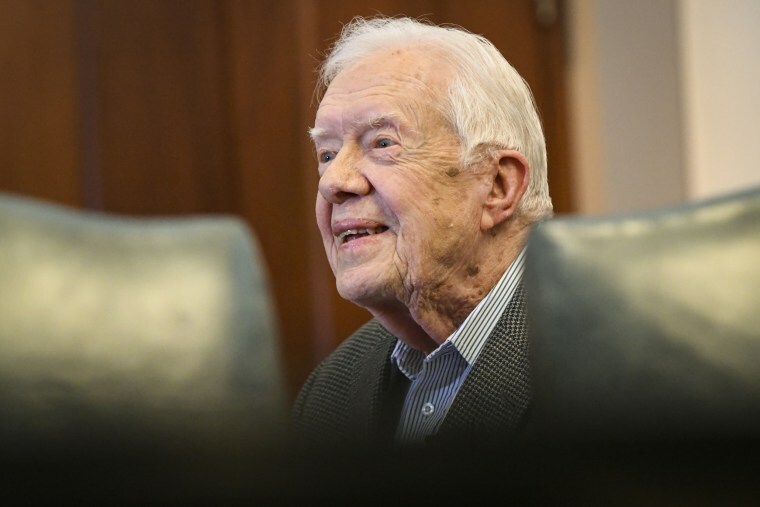 That's delicate — and, Carter acknowledged, even contradictory — advice coming from the 93-year-old former president, and it underscores the complicated political calculations for Democrats as they prepare for the November midterms and look ahead to the 2020 presidential election.